Hot Air Generators (HAG) manufactured by us can be used in different fields from spray booth painting to heating agro based products like cardamom, garlic, papad, chilies, potato chips, onions, and confectionery. 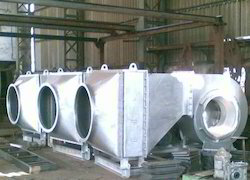 These are also suited for drying bulk drugs, Carbon Granules. Tailor-made models are also available on the request. These can also be customized as per the client specification. An Air Preheater (APH) is a general term to describe any device designed to heat air before another process, with the primary objective of increasing the thermal efficiency of the process. They may be used alone or to replace a recuperative heat system or to replace a steam coil. Our organization is capable of fulfilling various industry needs by offering quality range of Hot Air Generators. Manufactured by the professionals using latest and advanced technologies, these generators are widely used in paint and coating industries for drying purposes. Before the end delivery, our generators are rigorously scrutinized by a quality inspecting team to ensure their flawlessness. Our organization is capable of fulfilling various industry needs by offering quality range of Hot Air Generators/Air Preheaters. 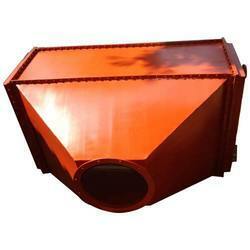 The offered products fulfills the requirement of drying in many industries. 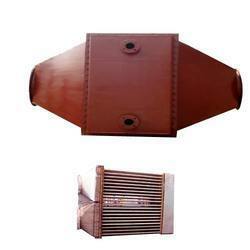 Moreover, customization of our products is also provided by us to meet the specifications of clients. Our products are competitively priced by us and are highly appreciated for their attributes like. With the help of our distinguished professionals, we have been able to bring forth Hot Air Generators/Recuperators. The generators offered by us are stringently tested by the quality auditors of our firm on varied parameters, before the final dispatch. Our generators can be availed by the clients at market-leading prices and can also be customized as per the technical specifications drawn by the clients.